It’s Time! Our Weekend Extravaganza has Arrived! "We did stop in and Lavon was very helpful and informative. Home » It’s Time! Our Weekend Extravaganza has Arrived! Ma Williams will host our annual weekend extravaganza this month, and you’re invited! Enjoy free food, drinks, prizes and raffles throughout the day. Enter to win our daily $500 drawing – no purchase necessary! Our annual weekend Extravaganza is your chance to ask questions about manufactured & modular homes to experts from across the industry spectrum. Qualify for a FREE GIFT if you open escrow within 30 days from the Weekend Extravaganza – Win a 55” Flat Screen TV or $1,000 towards options! Don’t forget to check out our Extravaganza Gold Tag Sale on our MA-14!! 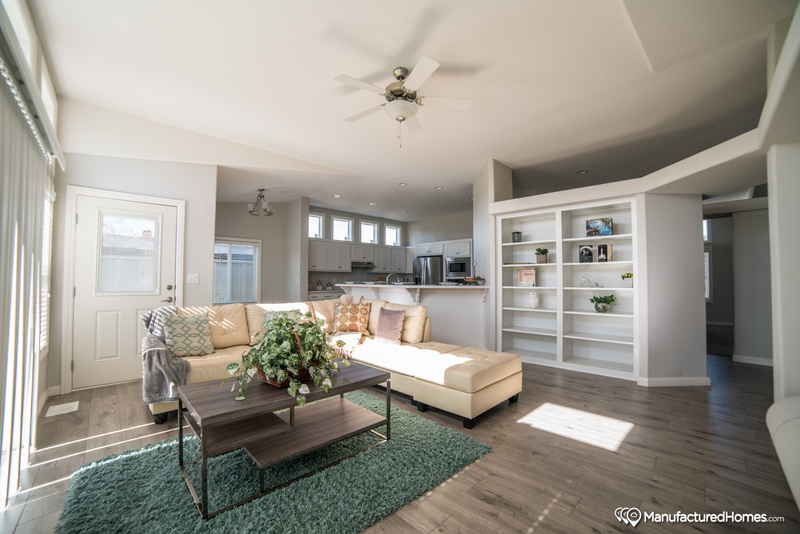 This Beautiful Prairie Style home features a spacious family room, three bedrooms and two & 1/2 baths with high ceilings and extensive architectural detailing accent within the interior living space. If you have a question for any of our experts, or about any facet of the manufactured & modular home industry, let us know! Send your questions in today via email, or ask them on our Facebook page.